Participants: Master students from Bergen Academy of Art and Design (KHiB) Åshild Kyte, Vera Kleppe, Caroline Grepperud, Anna Guseva and Katharina Messy. Coop donated food that they couldn't sell but still was edible to Transplant during the workshop. The present actors in the business of transforming raw produce into food have focused on processing it into fast food. This trend is turning and associations like Slow Food, are looking to ancient knowledge to create new meaning. Can the act of transforming raw food into an experience be social and communicative through a system? Could it give me a short break on my fast track? Could it be inspiring to try something similar at home, in a minute? Local cooks are invited to share their tricks and recipes in transforming local produce. With creatives, industries and during workshops, they will, rich with this knowledge, create mobile units of transformation, taking raw foods and making them available for consumption. – are dedicated to produce one single culinary transformation experience. – shall generate a new experience around taste. – will have a limited amount of technology, resources, materials and energy they can use. – shall use simple materials and constructions dedicated to that particular style of cooking. – should be informative and transparent on the food they are offering. – should invite people and give them a possibility to socialise. The outcomes of “Transform” were a series of live events: workshops, dinners and exhibitions, involving a large audience from private guests to school classes, designers to master students. “You add value while manipulating food” said Marc Brétillot. Concrete results were generated such as videos, performances and new product designs, powered by the dogma of minimising food waste and empathising the act of cooking with raw local food. This incredible fact was the starting point for a workshop lead by the Agents Marc Brétillot, Runa Klock and Anthony Quinn. Marc Brétillot, who earlier made a food performance at Transplant during the event “Cycle of Mutation – Disappearance”, explored together with the other Agents and students from KHIB, mentored­ by Anthony Quinn, ways of transforming food and reusing the waste. Together they defined “Preciosity” and asked the question­: What is waste? With the goal to transmit more awareness of the preciosity of food and the waste connected to it, the Agents and students experimented with installations, videos and models. Each evening during the workshop week, the students, the Agents and the Transplanteurs reused out of date food donated by local supermarket KIWI, to transform into a delicious common dinner­ with the help of the chef Christel Eide. 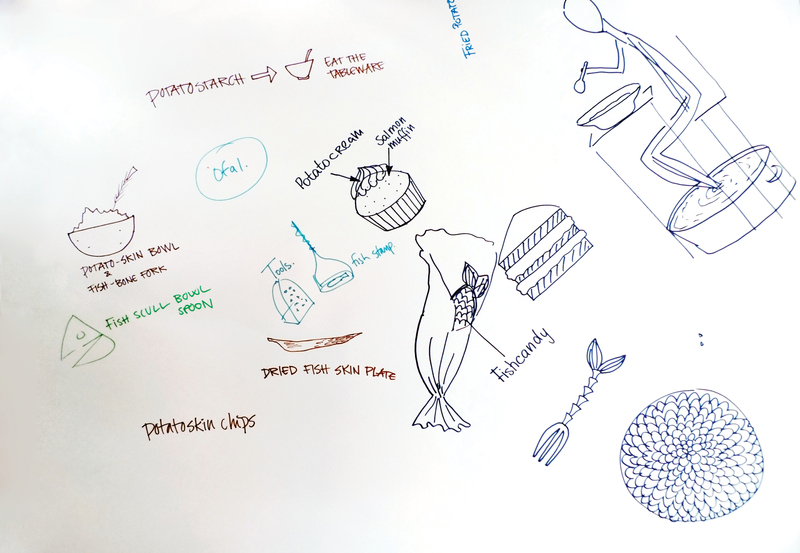 The workshop week climaxed with the Use/Reuse Food Performance.